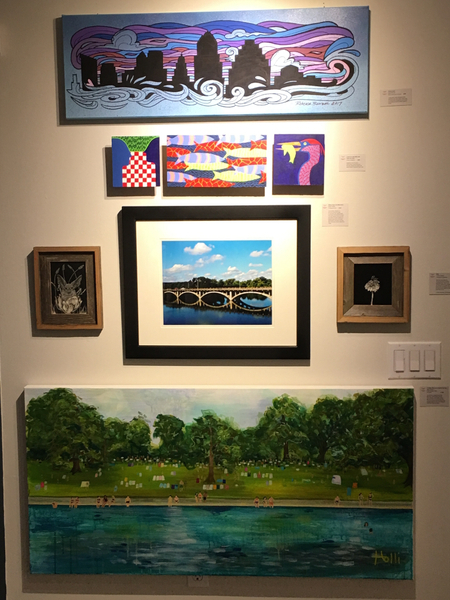 58 Austin Artists Participating in our New Exhibition, 3Ps (Pets (animals), People & Places)! 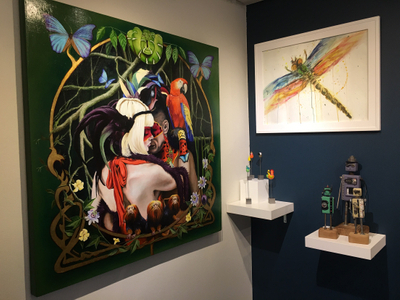 Let’s run the number….58 artists in 3Ps; 28 artists are exhibiting for the 1st time with Art for the People, another 14 artists have been a part of our artisan market and are exhibiting in the gallery for the first time, and the remaining 16 artists have been in previous exhibitions at AFTP. The concept for 3Ps (Pets, People & Places) began over a year ago: Art for the People was following so many stellar artists on Instagram that the idea of curating a humongous group exhibition began in my mind. The “Pets” was a sure thing with Charm Charm & Tassel being a part of Team AFTP. I originally had portraits as the 2nd “P”, but then realized that people created by the artist’s imagination might be more intriguing. “Places” is a tribute to my love of our Earth & what beauty can be created via architecture. Each exhibition we curate, Hallie Rae & I have learned the nuances of installing group exhibitions. With 3Ps being a themed exhibition, all of the artwork seems to magically compliment each other and the flow is exquisite!!! 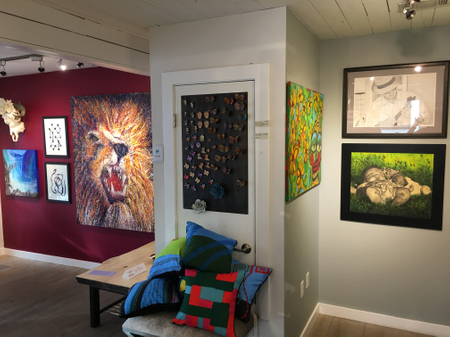 Note to self…..use a “theme” for large group exhibitions!!! 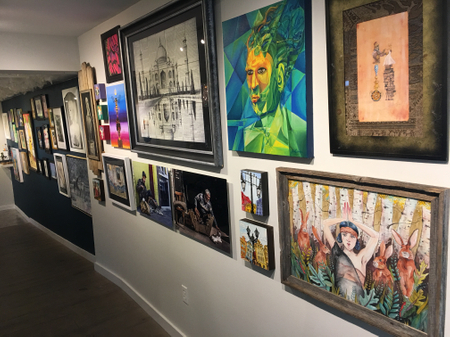 3Ps covers the entire wall space of Art for the People; front, lower & back gallery!! The opening reception for 3Ps was Friday, 27th of October, and what a stellar night!! For the opening we created artist badges to identify all of the 3Ps participants, so that it’s easy to know and socialize with each other. The evening began, the cold front arrived (doors were open & no mosquitoes), and Buddha’s Brew Kombucha cocktails were flowing with a crowd of art lovers & artists. For Team Art for the People, it was a night of excitement and gratitude for the many Austin Artists! 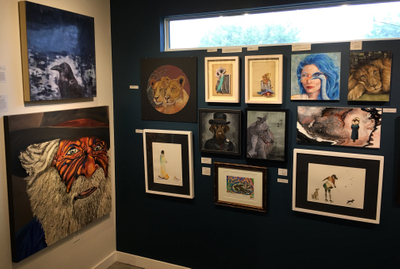 We are so very grateful to the magnificent Artists in Austin, Tx that entrusts us to showcase their artwork! 3Ps will be our exhibition through the 27th of January 2018! Our next blog will be on the artisan market adventure of moving furniture, our “new to the artisan market” artists, and some surprises!!! Come by and peruse the magnificence of 3Ps and our spectacular artisan market of Austin Artists!!! What can we all create together?